This has definitely been the year of the Granny Square for me. I have loved finding new ways to use this crafty classic and make a whole range of objects and accessories. You might think that having one theme for my book might feel restricting. In reality it tends to free my imagination and curiosity. I try to think of new ways to make, fold and use a basic crochet square. 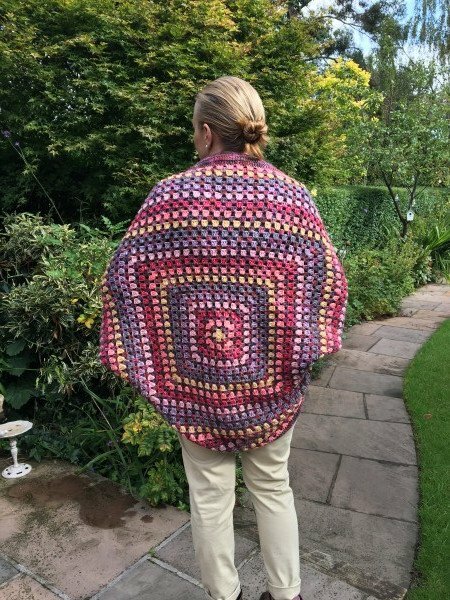 Back in the summer, when all the Stylecraft Blogstars got together we were given a choice of three colour packs. I chose the ‘Desert’ theme. I knew our blogtou11r would be live in autumn and it occurred to me that the colours would be perfect for cosy project. In this pack there are four balls of Batik Elements Iron and 1 ball each of Rose, Cherry, Coral, Old Gold, Heather, Graphite. Pretty, pretty, pretty. I make a very awkward model for this garment but you can spot cheeky Stanley getting in on the act! 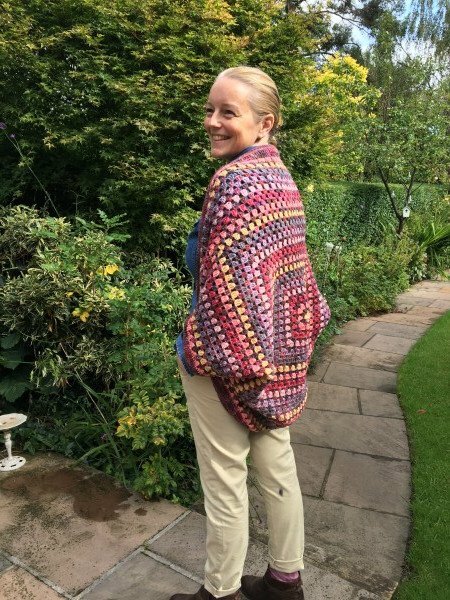 I have created a cocoon shrug. Quite surprisingly it is just a huge granny square! I know that doesn’t seem to make sense. The pattern is very very simple and for the two weeks of the blogtour you can down load it for free. Then I will make the pattern available for purchase. 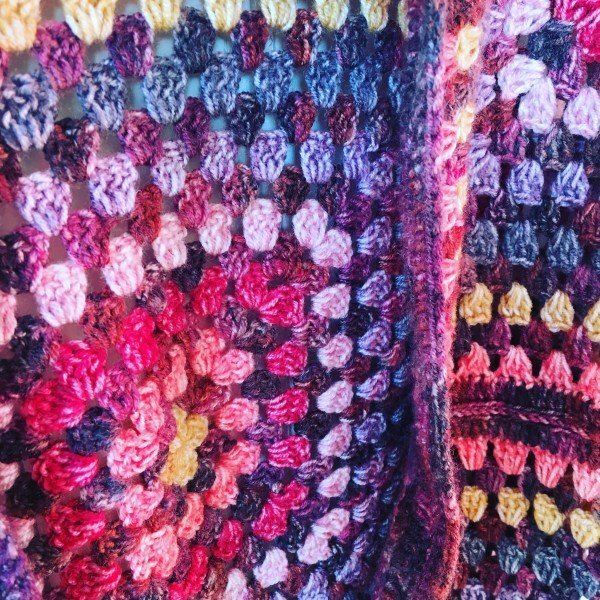 I had a little bit of the yarn left over from making the Maple shrug and I made a little additional project which I will share with you at the end of the blogtour. If you haven’t used Batik before I know you will love it. Batik yarn is very very soft and the marled effect of the blending gives the crochet material a pretty faded look. 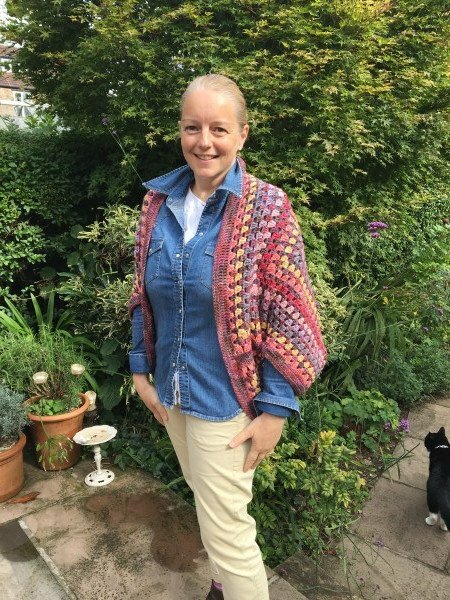 For those of you who fancy making your own version of the Maple Shrug you can download the pattern for free Maple Cocoon Shrug – Emma Varnam. I would love it if you would subscribe to my monthly newsletter as well. 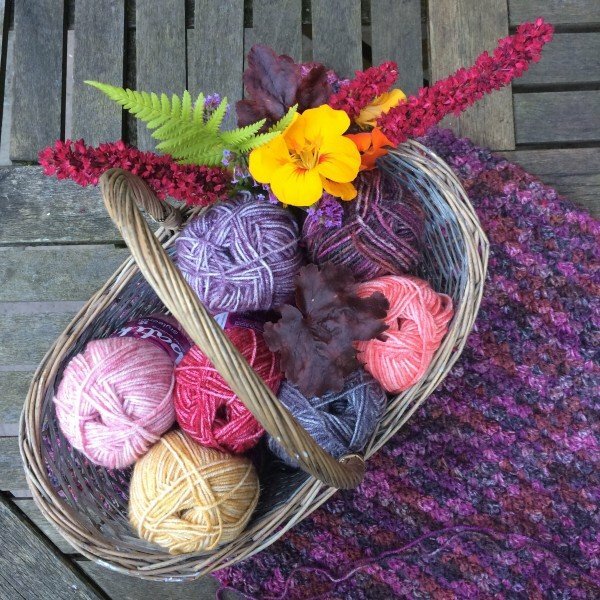 If you would like to win a pack of the yarn then please do go to the Stylecraft Competition page and enter **here**. I should hear who has won the prize tomorrow! Congratulations to Catherine who won the yarn pack and thank you to so many of you who entered! I am also so grateful that so many of you have left kind comments. This year there are sixteen designers and bloggers involved in the blogtour who have used the Batik Shades with added Batik Elements as their inspiration. That means sixteen chances for you to win a pack of yarn and get a unique free pattern. Tomorrow please visit the awesome Polly Plum and her fabulous blog Every Trick on the Hook. 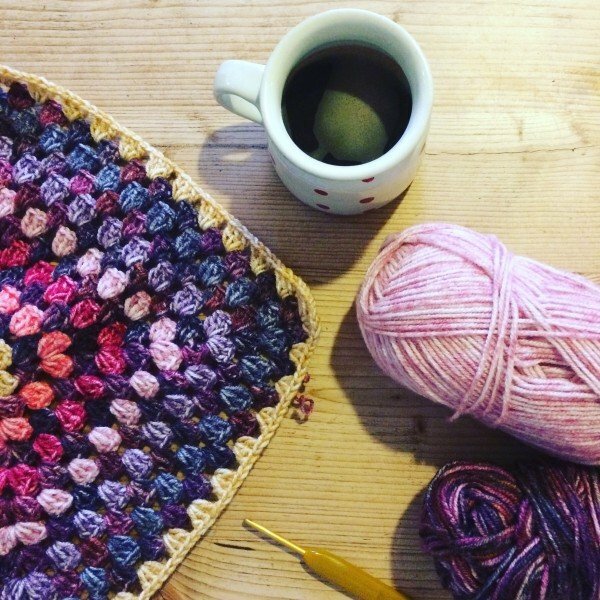 She creates the most wonderful Granny Squares and I can’t wait to see what she has created. When i enter for the competion it say’s it is not started. Such a clever design Emma. I love the way you used the yarn pack! I love it!! 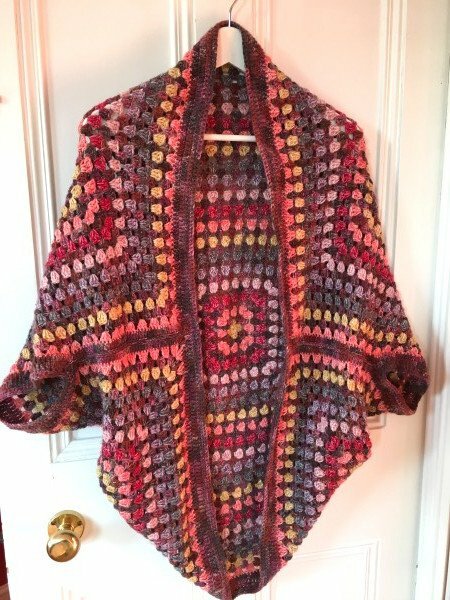 A crochet shrug has been on my project list. Love the colors!! Beautiful colours for this time of the year! 3 Colour Peace Poppy pattern (free!) – Sing Me to Sheep . . .
That is a very pretty garment. The colors are great for Autumn!